The Home Exercise of the Week this week is the Helicopter. I could have called it a squat jump with a 180 degree turn but that’s pretty boring! This is a plyometric exercise that will target your quads, hamstrings, and glutes while building explosive power and improving agility and coordination. Also, since this is a plyometric movement that requires many muscle groups to work together, your cardiovascular system will be working hard and your body will require a lot more oxygen. Is this a challenging exercise? A big YES to that question! The movement itself is fairly straight forward but the challenge comes with the jumping and turning part of the exercise. Your heart pumps faster and harder and your breathing rate increases quite a bit to get that much needed oxygen to your muscles. 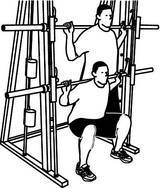 But…the rewards to doing this exercise and many others like it far outweigh the uncomfortable feeling while doing it. You will burn more calories with this exercise than just a regular squat and if your goal is fat loss then definitely try adding this to your routine! This weeks exercise is a Burpee! It is a very popular exercise used in group fitness classes and boot camps but I would say it’s not a very popular exercise for the people doing it! The reason being is it is a challenging exercise that will test your strength and cardiovascular endurance. Any full body movement that involves jumping gets the heart rate up high because all those working muscles are trying to get oxygen and your blood brings that oxygen to them. More muscles used = increased cardiac output and increased oxygen uptake. This is a combination move designed to work on your balance and coordination as well as your quadriceps, hamstrings, glutes and the stabilizer muscles of the ankle. Keep a slight bend in the knee during the one leg deadlift portion and keep your back as straight as possible. Add weights to increase the difficulty! If you have been following along with my series on exercises to avoid at the gym you’ll know that I have talked about all leg exercises so far. This week though in the final part of the series, I would like to share an upper body exercise that might not be as effective as you thought. The exercise is the Biceps Preacher Curl and although it is a good bicep builder and isolation exercise there are a few drawbacks that could lead to injury down the road. Dr. Kareem Samhouri (a Neuro Metabolic Fitness and Rehab Expert) points out that from a muscle balance perspective, the forward shoulder position of this exercise leads to an increased stretch on the rotator cuff and biceps tendon. The position of this exercise creates an imbalance between your pecs and lats/shoulderblade stabilizers resulting in a forward shoulder position. This leads to rotator cuff tendonitis, biceps tendonitis, and an increased risk of tears. 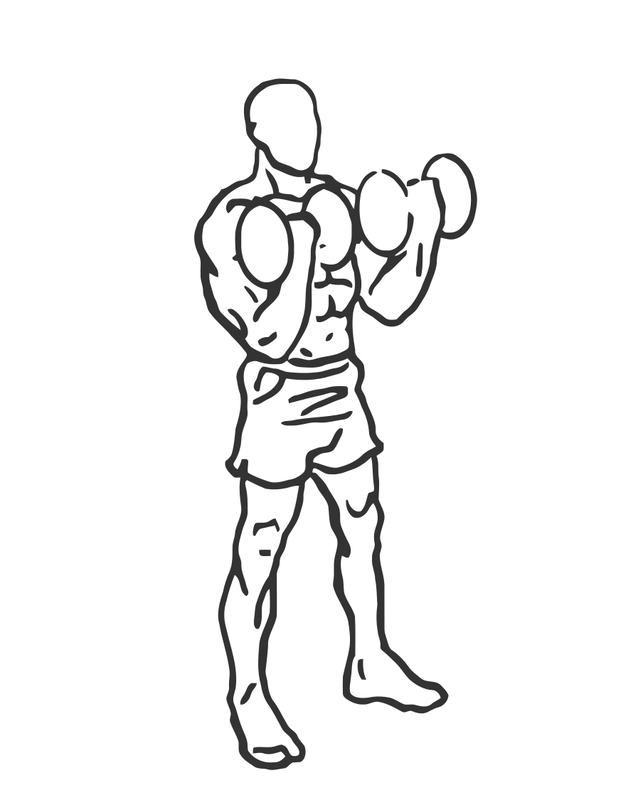 Also, the biceps are being shortened in an over-shortened position for your pecs, reinforcing a common imbalance. The elbow is only safe when balanced and this is achieved when all the elbow flexors are being worked. 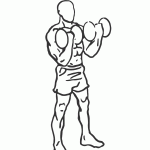 The elbow flexors are your biceps, brachialis, and brachioradialis. These muscles flex your elbow and allow you to rotate the palm of your hand up and down. Second, there is no functional benefit to doing this exercise. This is an artificial movement in an abnormal position. The only purpose to doing the Biceps Preacher Curl is to build the biceps but they only work on elbow flexion. The biceps is also a supinator (meaning it turns your palm up), so by doing the preacher curl you’re missing 50% of the muscles action. Finally, the metabolic effect of this exercise is low as it is an isolation exercise using only one part of the muscle. You aren’t going to be burning many calories by doing this exercise and if your goal is fat loss then there are far more functional bicep exercises you can do that will get your heart rate up. 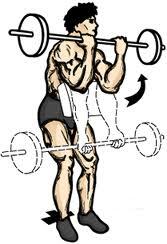 A great exercise you can do that will hit all of your elbow flexors is the Curl Up, Hammer Down. The first half of this exercise works your biceps and the last half works your rotators and forearm muscles. To perform this exercise properly, stand tall with your shoulders back and knees slightly bent. Keep your elbows at your side with your palms facing out. Curl up slowly getting a good squeeze on the biceps and then in the top position, you’ll want to turn your palms towards each other. When your hands are in this position it will kind of look like a hammer. Maintain this position as you slowly lower the dumbbells back to the starting position. So there you have it. Another exercise to avoid next time you hit the gym and what you can do instead for a more functional, safe, and effective workout. I hope you have enjoyed this series over the past 5 weeks and I hope that the next time you workout, the more effective exercises I have shown you will bring you one step closer to reaching your fitness goals! This week I would like to talk about one more leg exercise to avoid in part 4 of a 5 part series of exercises that could be doing you more harm than good. In part 3, I talked about the Machine Leg Curl which is an exercise that isolates your hamstring muscles. There is one more exercise that seems like it would be very effective and I’ve done it myself in the past not realizing the implications or ineffectiveness of it. The exercise is the Smith Machine Squat and thanks to Dr. Kareem Samhouri (a Neuro Metabolic Fitness and Rehab Expert), I now know the reasons why it’s ineffective and I would like to share with you the reasons why and what you can do instead. First of all, from a muscle balance perspective your hamstrings are basically not being used in this exercise, meaning your quads are doing all the work. At the same time, it’s hard to properly recruit your glutes when the weight is not directly loading your spine (a lot of the weight is being supported by the machine itself). Without the support of your glute muscles, you are weakening your core which can increase the risk of injury and slow fat loss. Second, the functional benefit of this exercise is not very high compared to a free weight barbell squat or dumbbell squat. Since your hamstrings and glutes don’t really have to work much in this exercise, you’re not squatting like you would in real life. In a Smith Machine Squat, it’s easier to lift more weight because of the assistance of the machine but piling the weight on further emphasizes the muscle imbalance and can lead to injury. Your quads, glutes, and hamstrings need to work together in order to become stronger and more mobile as a unit. Doing squats that aren’t on a Smith Machine will tend to limit you to a more correct weight selection which will load all the working muscles properly and lead to better results. Finally, the metabolic effect of this exercise is low to medium. Since you are using your ankle, knee, and hip joints, the metabolic potential is slightly higher than the other exercises I have mentioned in this series. However, the muscle imbalances that the Smith Machine Squat creates can lead to all sorts of situations that can cause a metabolic crash. So there you have the main reasons why the Smith Machine Squat should be avoided and like I mentioned earlier, a freeweight barbell or dumbbell squat is much more effective and will strengthen the quads, glutes, and hamstrings as a whole. You will also be recruiting your core stabilizer muscles and a stronger core will help prevent injury in this and any other exercise as well as any daily activity that you do. 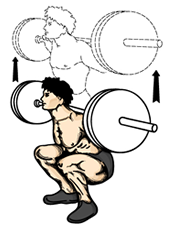 Again, the key to making the squat safe and effective is to use proper form throughout. Make sure you push up through your heels, keep your knees in line with your toes and arch your back up slightly to stay upright. Start with no weight until you get comfortable with the movement. 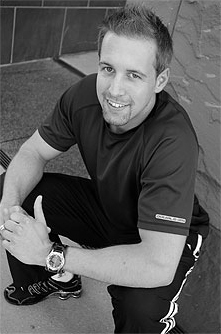 Next week I will talk about the final exercise to avoid next time you hit the gym and its more effective alternative. Until then, happy squatting!